We have a wide range of experience working with schools and colleges providing mobile toilet units and sports changing rooms for flexible, outdoor use. Utilising outdoor space for your sports changing rooms or toilet facilities is an ideal way to utilise space within you campus. We will help with design, planning, groundwork and installation to ensure you get the best solution for your environment. 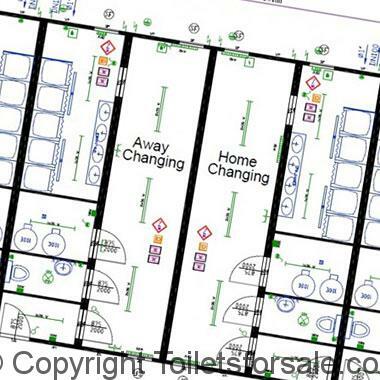 Our school sports changing rooms can be tailored for your needs in terms of toilets and showers, depending on the space you have and our changing rooms are FA approved, so come with high recommendations. If you are looking for a mobile toilet or sports changing room for your school, contact us today on 0800 138 9246 or fill in our enquiry form.